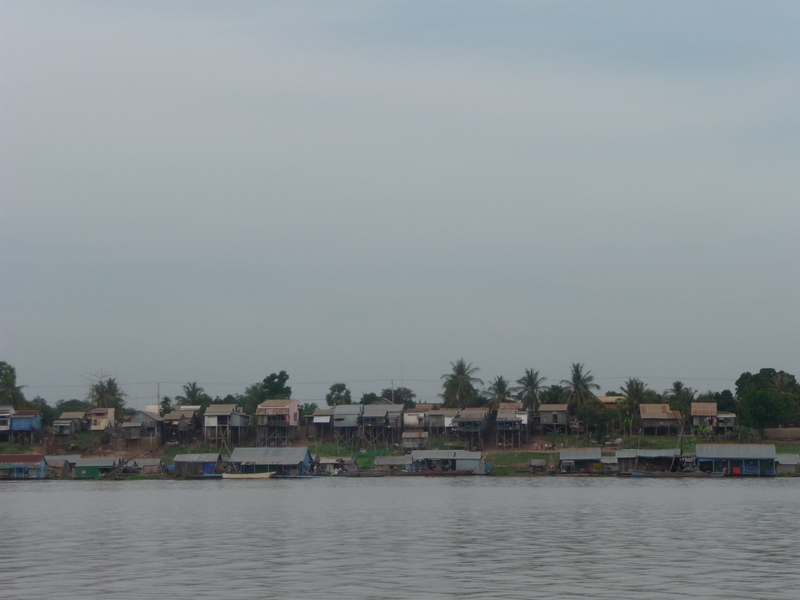 The next day we booked an awesome speedboat to carry us across Lake Tonle Sap, the largest lake in SE Asia. Our destination was Siem Riep with the legendary Angkor Wat temples. Safety doesn’t seem to be a known term in Cambodia and I spent the majority of the ride on the roof of the boat with some other backpackers getting ridiculously sunburned. Dotted sporadically throughout the lake were amazing little floating fishing villages, it was fascinating to think that people literally lived isolated on the water with so little space or things to do. From the boat we took a tuk-tukand although we asked for a cheap guesthouse the place we were brought was clearly connected to the driver. The air-conditioning felt so good on my sunburns that we opted to pay a few extra bucks than normal for a nice room. We went out for beers with some British girls then called it an early night because we wanted to explore the temples early in the morning. 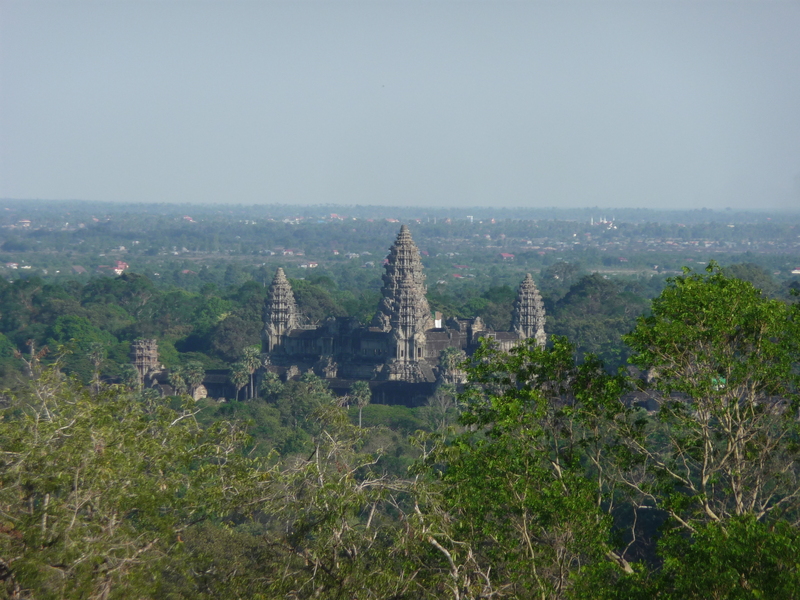 We rented a tuk-tuk and explored 5 different temples of the massive Angkor Wat complex. These ancient stone structures were hands down the most impressive structures I’ve ever seen in my life, it is unfathomable how these were built so long ago. Just the sheer magnitude of these buildings was impressive, but the massive faces carved into towers were unlike anything else on earth. Often your typical popular tourist highlights can be very overrated, but I can assure you that Angkor Wat does not fall into this category. 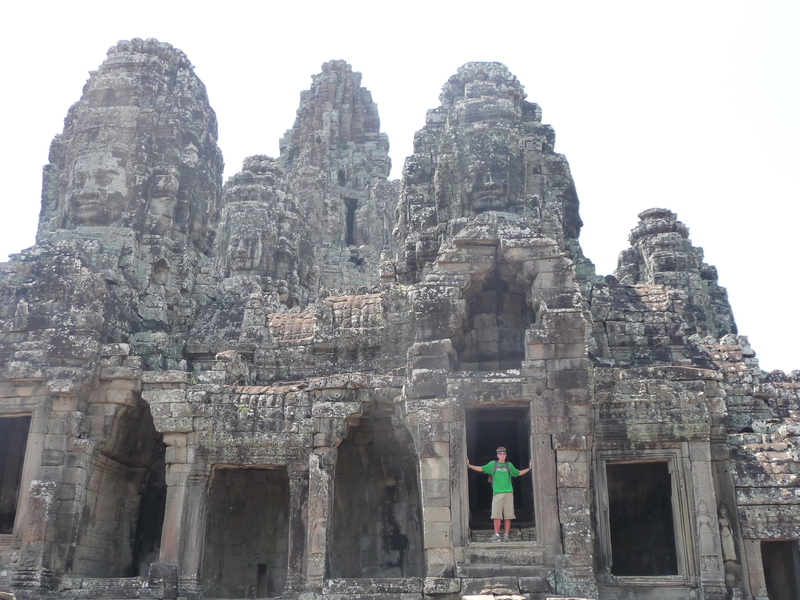 Bayon was my favorite temple and if you ever have the chance to go to SE Asia I strongly suggest you visit these temples no matter what! We were exhausted from exploring under intense heat, but we wanted to experience the nightlife in this strange little town and eventually we found ourselves in an NTA at a locals Dance club. Faces carved into the temple spires! Being the only white people in the entire club some Cambodians who worked there pushed us up onto a mini stage in the center where we could dance on display for everyone to see. Clearly white dudes don’t go there often and they were trying to show us off. The next day we booked an afternoon bus to Battambang, a city fairly off the grid to see what real Cambodia was like. We weren’t sure what else to do in Siem Riep as the temples are the major things to see, so to get a nice tour we just bought some beers and paid a tuk-tuk to drive around aimlessly. If you are in Southeast Asia I highly recommend this option over your typical bus city tours. Tuk-tuks cost next to nothing, you can drink beer and you are outside, it’s a fantastic way to get a feel for a new place!! 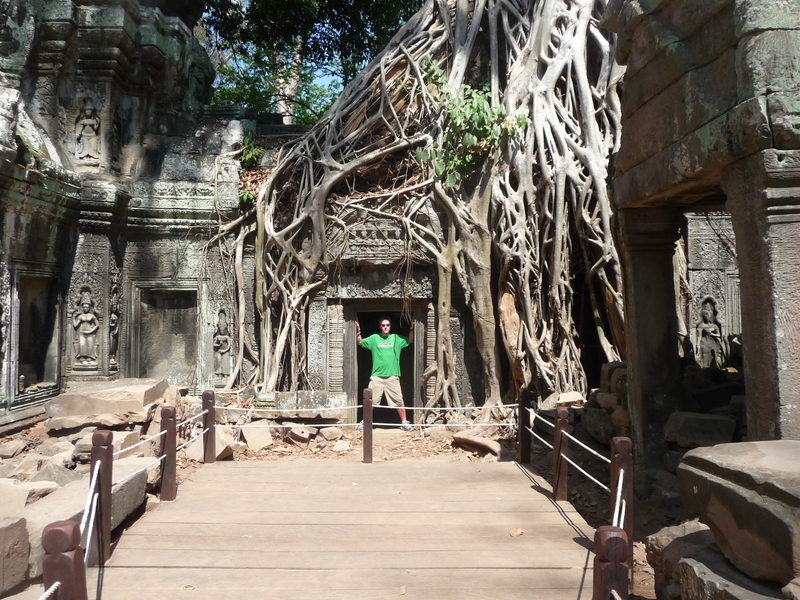 This entry was posted in Cambodia and tagged Adventure, Angkor Wat, Bayon, Cambodia, Phnom Penh, Siem Riep, Travel by verenico. Bookmark the permalink. Nice post – we’re just back and can confirm, the sun is hot! One of the best things we’ve done/seen which includes taking a cargo ship from London to Buenos Aires and Machu Picchu! Hey thanks Crash! My next trip is to South and Central America so I will be sure to check out those spots too… A Cargo Ship from London to Buenos Aires!!!?? Please give me some details on how you can do this I am extremely interested! !